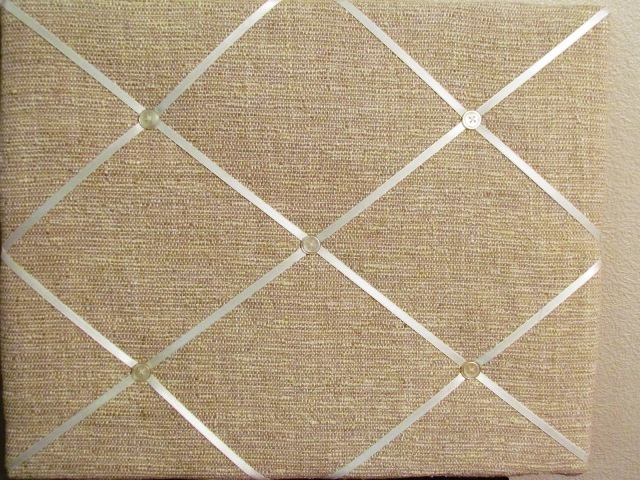 A fabric bulletin board holds your memos and can compliment your room. Having a fabric bulletin board is a safe way of storing memos and other items as they do not require pins to hold these items. The boards are padded and covered with fabric. 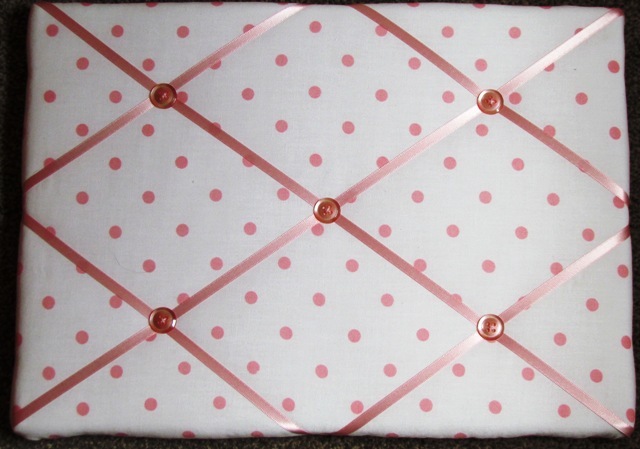 Ribbon is then attached in a criss cross pattern which is used to hold pictures, memos, tickets and other items safely in place. This board measures 10 inches by 14 inches (approx 25.5cms by 35.5cms). This board measures 14 inches by 18 inches ( 35.5cms by 45.5cms). 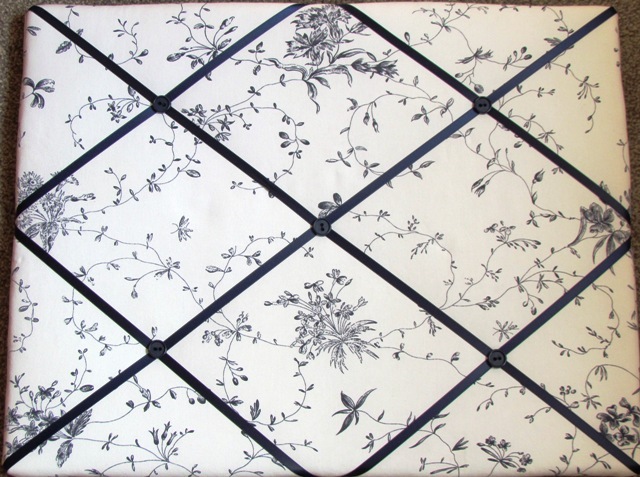 The fabric is white with navy blue flowers in varying sizes and designs. 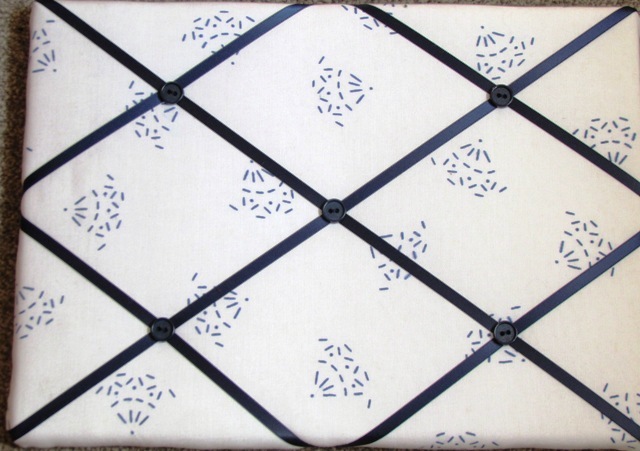 The backing fabric is navy blue and a cord is fixed along the longest side to hang on the wall. This board measures 20 inches by 16 inches ( 50.5cms by 40.5cms). The fabric is has a slightly coarse feeling to it. 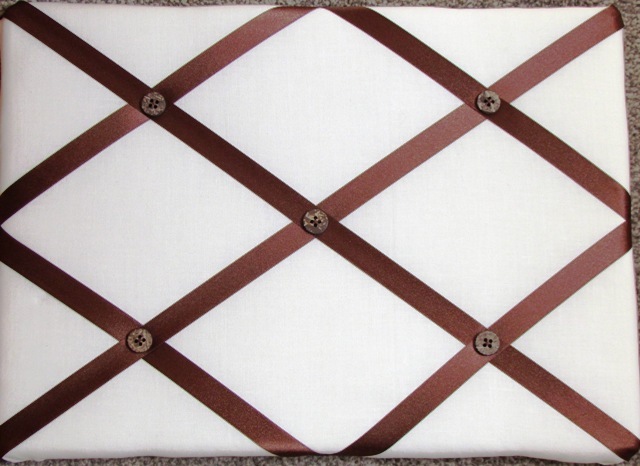 It is dark beige in colour and has cream ribbon criss crossing across that is held in place by cream buttons. The backing fabric is white with a cord fixed across the longest edge to hang on a wall. The fabric is dark cream in colour and has terracotta red ribbon criss crossing across that is held in place by terracotta red buttons. 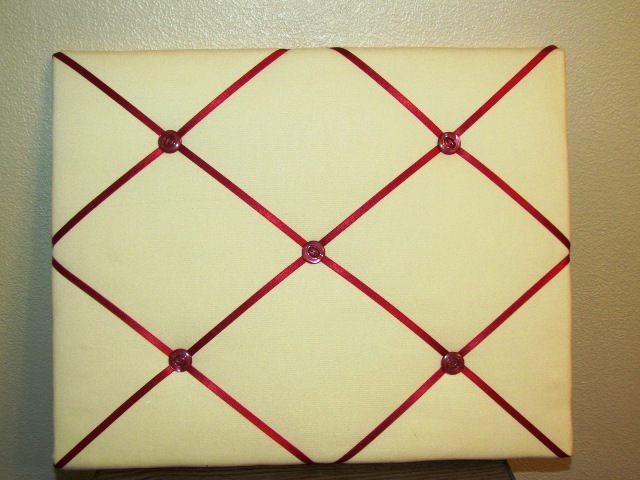 The backing fabric is cream with a cord fixed across the longest edge to hang on a wall.